Redmond, OR – December 19th, 2018 – Freightliner Northwest Branch Manager, Brian Nicol led his team through an 18-month process to achieve demonstrated compliance with the 127 criteria of the Daimler Trucks North America Elite Support Program. The Redmond branch has been remodeled, team employees have been formally trained on the requirements of Elite Support, and continuous improvement practices have been implemented to meet the high standards of the Elite Support program. The team in Redmond came together and worked through the extensive list of changes allowing them to achieve the 10th certification in the Gordon Truck Centers Dealer Family. 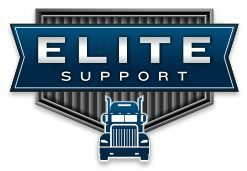 The Elite Support program is a commitment to a high standard of consistent customer experience across a network of certified dealers. The GTC Dealership Family is committed to taking the necessary steps to certify and maintain certification at all locations across the network. About Gordon Truck Centers, Inc. Built upon a 30 year history of helping customer satisfy their transportation needs, Gordon Truck Centers, Inc. is an expanded network of dealerships doing business as Freightliner Northwest, Western Star Northwest, and Freightliner of Hawaii. The Dealership Family has 12 locations throughout Washington, Oregon and Hawaii located off nearly every major highway. As a full-service Freightliner, Western Star, Fuso, Wilson Trailer, Reitnouer Aluminum Trailer dealership family, GTC can sell, finance, insure and service commercial trucks for medium and heavy duty applications.